I've been wanting to show you one of my relatively "new" collections. 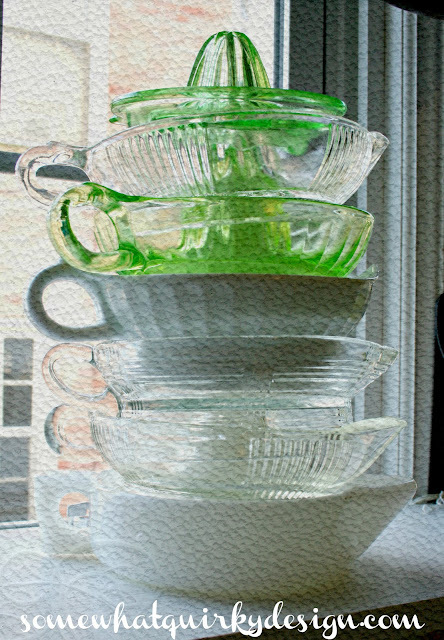 You may remember that I LOVE vintage kitchen stuff. I find that they tend to work well. Especially if they are made of glass. 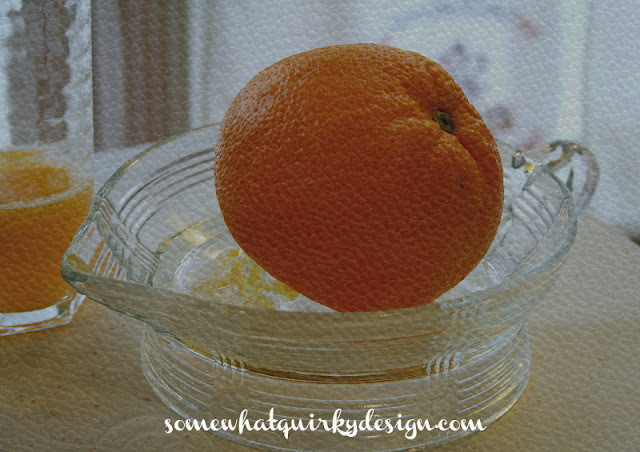 For years I had ONE vintage juicer. And I rotated it with other method of juicing. Like a wooden reamer, or just squeezing it with my hands. But nothing gets juice out of an orange, a lemon, or a lime like a vintage juicer. And besides that - they're just so dang cute! And I've had these pictures stashed away for a while now. 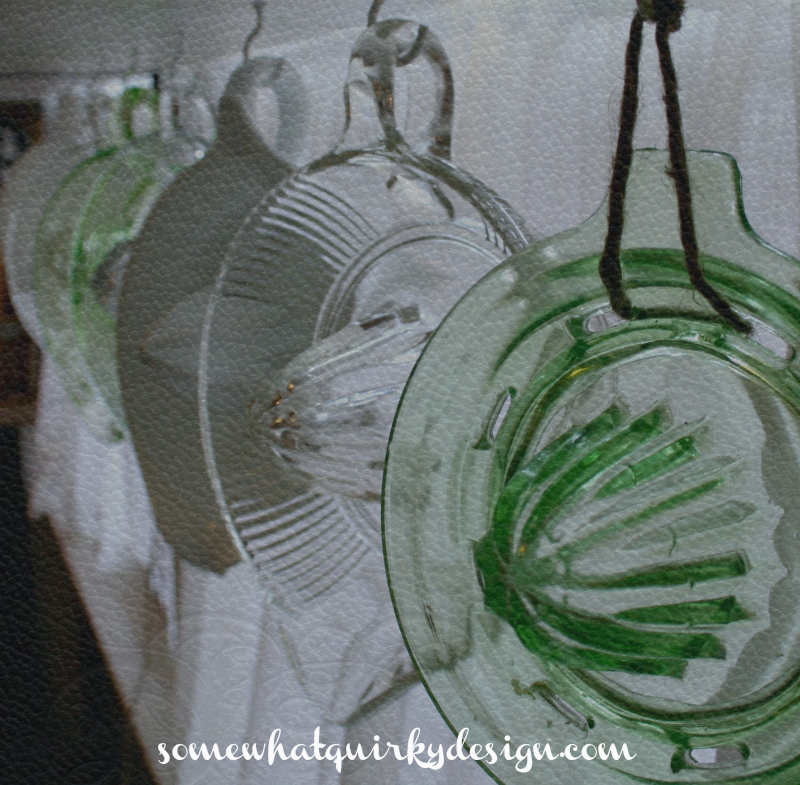 Because it just seemed so boring to say "Here are my vintage juicers." So when I was reading this blog the other day and she had all these very very very tempting pictures of Lemon Lime Bars she had made, I knew that this would be the perfect time to break out the ol' vintage juicer pictures. 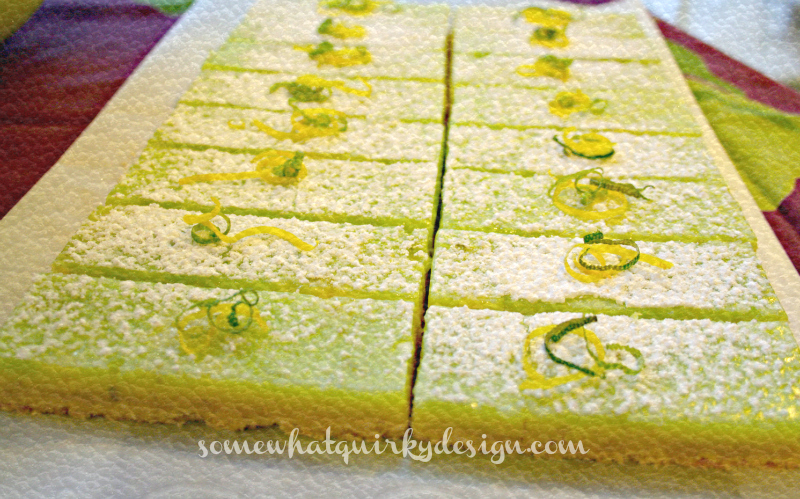 And of course to make some Lemon Lime Bars. You see, I don't favor Lemon Bars so much. They don't have chocolate in them. Or white chocolate. Or pecans. Or coconut. I do like lemon. I lake tart stuff. Remember Sweet Tarts? Um Yummy. 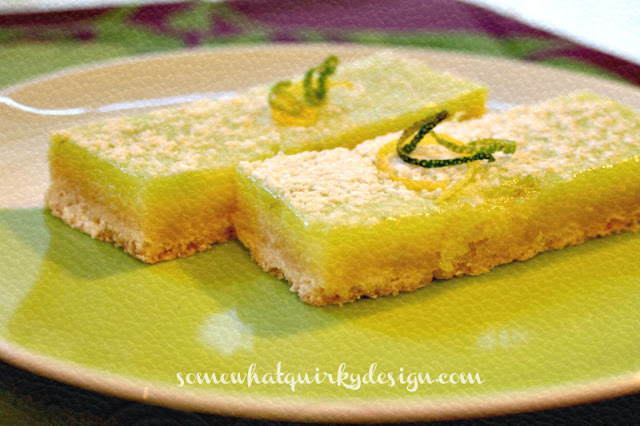 But lemon bars somehow always seem to end up sweeter than they are tart. But add a little lime to the mix...now that's tempting. You might want to make some for yourself. 1. Preheat oven to 350 degrees F. Grease a 13x9x2-inch baking pan. Line pan with parchment, pressing the paper onto the bottom and up the sides of the pan; set aside. In a large bowl combine the 2 cups flour, the 1/2 cup powdered sugar, the cornstarch and salt. Using a pastry blender, cut in butter until mixture resembles coarse crumbs (mixture will look dry). Press firmly into bottom of prepared pan. Bake 15 minutes (crust will still look dry). 2. Meanwhile, in a medium mixing bowl whisk together the eggs, granulated sugar, half-and-half and 3 Tbsp. flour; divide in two bowls. In one bowl add lemon peel and lemon juice; in the other bowl lime peel, lime juice and green food coloring into other half. Pour the lemon filling over hot crust; bake 10 to 12 minutes or until set. 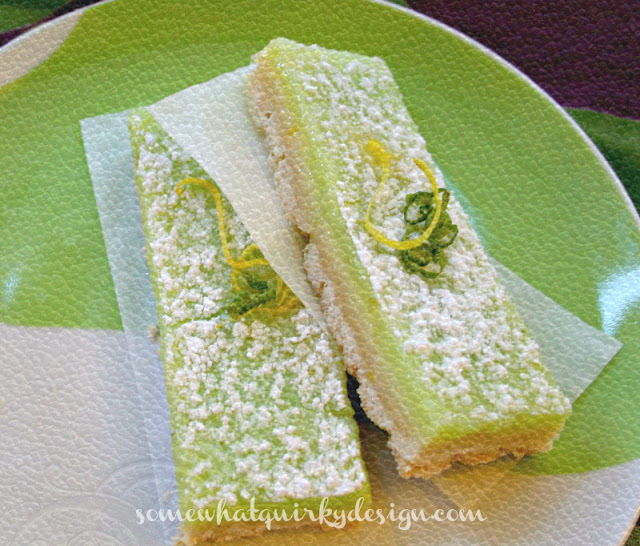 Carefully pour lime filling over lemon filling; bake 10 to 12 minutes more or until set. Cool completely in pan on a wire rack. 3. Use paper to lift uncut bars from pan. Cut into bars. Sift over powdered sugar. Top with lemon and lime peel, if desired. Refrigerate to store. Makes 32 bars. Now of course I have a couple of tips. Because that's what I do. Not the money kind. Just things that I know since I've been alive a long time and since I cook a lot. 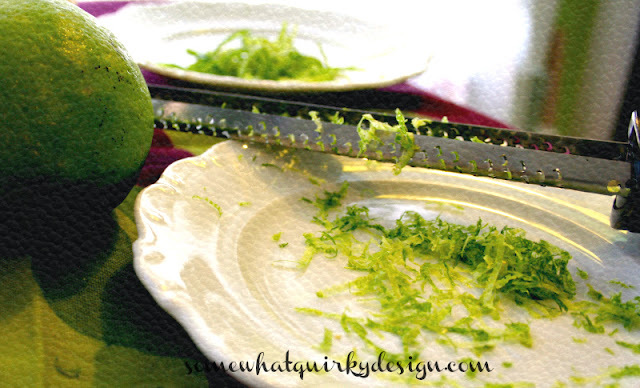 These bars require finely shredded lime and lemon peel - most commonly called zest. There are three ways to get zest that I know of. I'll just talk about 2 of them. The easiest way to get zest is to use a pretty fine micro-plane. This gives you a very fine shred of lemon rind, but doesn't include a whole lot of the oils that make the zest so zesty. The second way is to use a zesting tool like the one in the next picture. 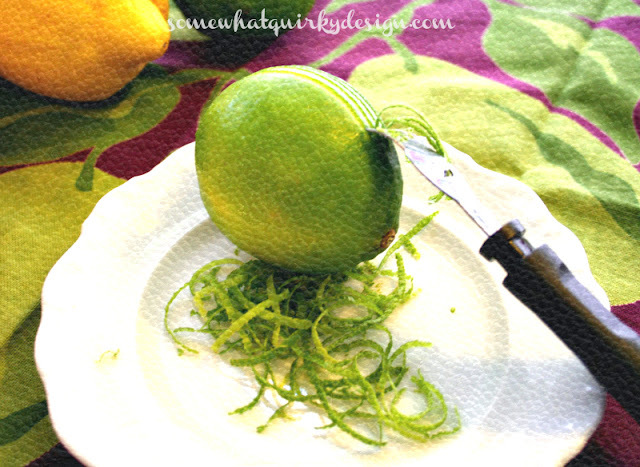 This gives you long strips of zest that make excellent curls of citrus zest. The zest does have to be chopped after you get it off the fruit. I like this method when the item I am making is going to be cooked or if I need decorative curls. I found out this time that in the time between making the curls and needing to use the curls, the lime ones dried up. The lemon ones did not. So if you are making this and want lovely pictures of it, make your curls right before you need them or at least cover them up until you need them. If I make this again I will not mix the lime juice into the egg and sugar mixture until the lemon layer is already cooked. I found that the lime juice began to cook the eggs in the lime mixture while it was sitting waiting for the lemon layer to cook. These are pretty tasty. I know this because I've eaten six a few. You might want to try them. If not...at least you got to see my collection. 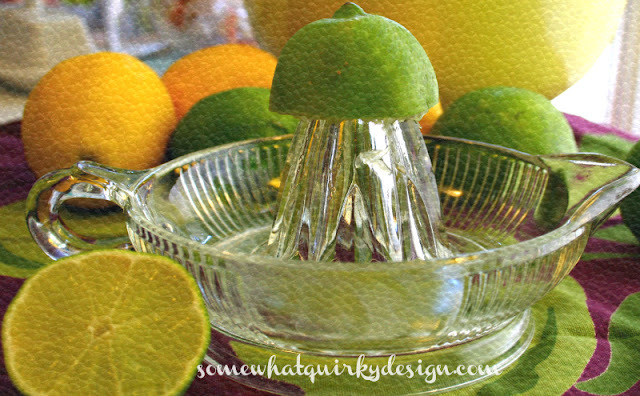 I love vintage kitchen equipment, lemon and lime so this is the perfect post for a trying-to-be-summer day! Thank you. Those bars look utterly delicious. I'm sure I'd love the bars. Lemon pie is my favorite and the more tart, the better. You have a fun collection of vintage juicers and I love the way you've displayed them! 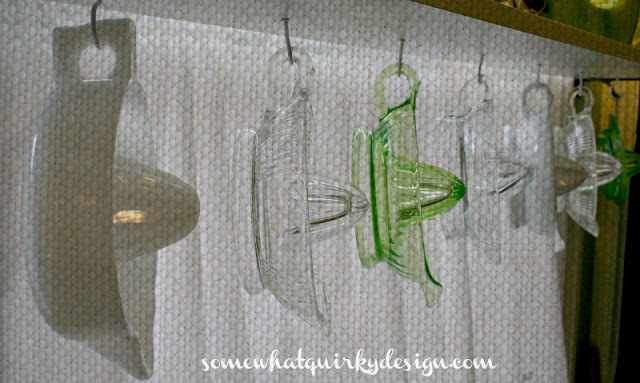 Those vintage juicers look beautiful hanging in front of your window! Love the lemon-lime bar recipe and I pinned it to make..as soon as our heat breaks and I can turn on the oven. I'm trying hard not to turn on the AC until at least June. But of course I'm pinning this recipe. 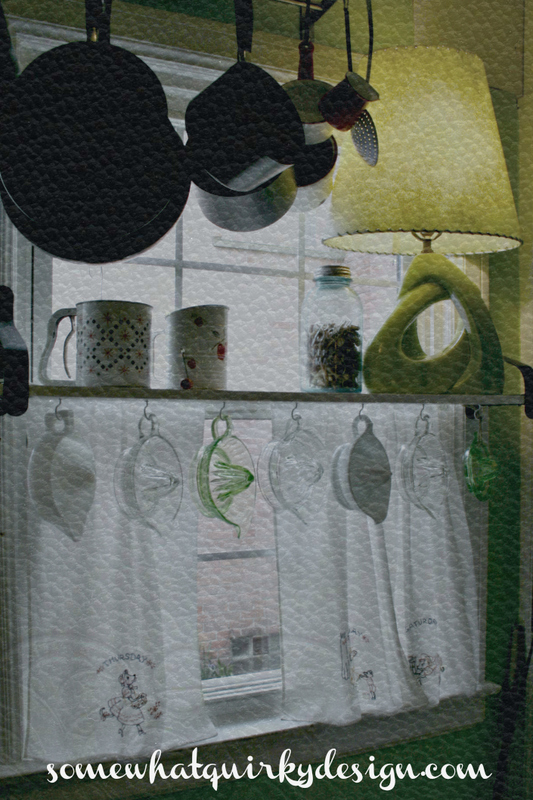 And your juicers look cute hung in the window. As a receipent of excess bars, I am here to testify that, in our home of 2 people, they got 4 thumbs up. Luckily (for my sweetie), I am being very careful about what I am eating so there won't be a fight for the last bar. Especially since I told him to hide it. They were totally worth the points. Oh, yum...if the doctor hadn't made me choose between sugar and alcohol, I might be whipping some up at this very moment! Great collection and I love the way you are displaying them. I personally use a zester. It's so easy to use, and now that I have seen your beautiful lemon bars, I think I'll go down to the kitchen to find something sweet of my own to nibble on. I love all your juicers and how you are displaying them. I have a couple myself and the lemon-lime bars sound delicious. I'm so glad you joined us this week at Transformed Tuesday. I love your vintage juicers.I have one and I love it. What a great idea using Lime. 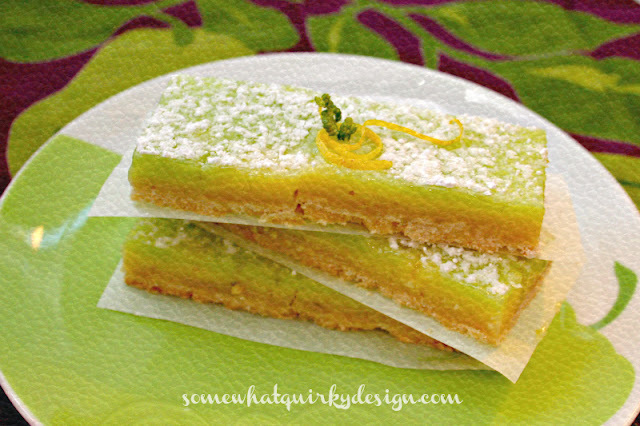 Sometimes Lemon bars are so sweet...Great recipe. Oh! I really love your collection! Those juicers are fantastic and you display them very well. Wow! Your stuff looks amazing and so stylish! But I prefer the new models of juicers. Even if I have problems with cleaning. But thanks to http://juicer.guru/best-easy-to-clean-juicers-review and understood what I’ve done wrong. That has to be useful for you too, I think!